Part of the Safco Active Collection, this Desktop Sit/Stand Workstation promotes body movement that stimulates your mind and body. The ergonomic, adjustable-height workstation converter retrofits to most desks and worksurfaces up to 3" thick. Design lets you raise monitor and keyboard for use as a standing workstation to promote better posture, provide optimal viewing comfort and help alleviate eyestrain while saving valuable worksurface area. Monitor and keyboard stand height are individually adjustable. 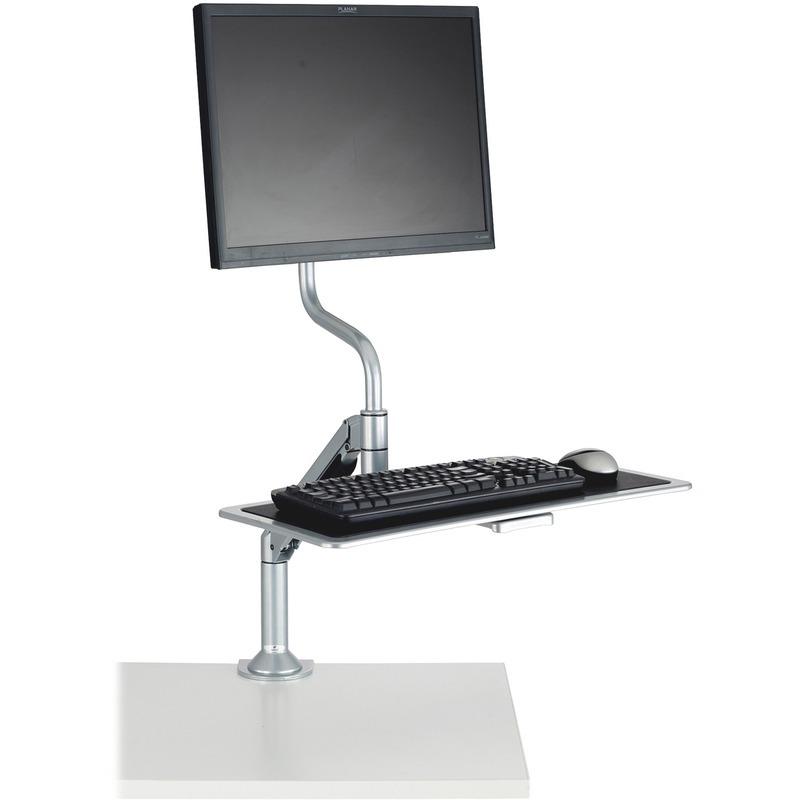 Keyboard stand extends and retracts manually to adjust distance between screen and keyboard. The 26" wide x 10-3/4" platform adjusts 2-1/4" in depth and 12-1/4" in height. Monitor provides tilt adjustment and locks into place. Lift and tilt mechanisms are manual with no knobs or levers needed to make adjustments. Cables are concealed within the adjustable arm for a neat, cord-free and clutter-free desktop. Workstation converter holds up to 11 lb. and is made of steel and aluminum.